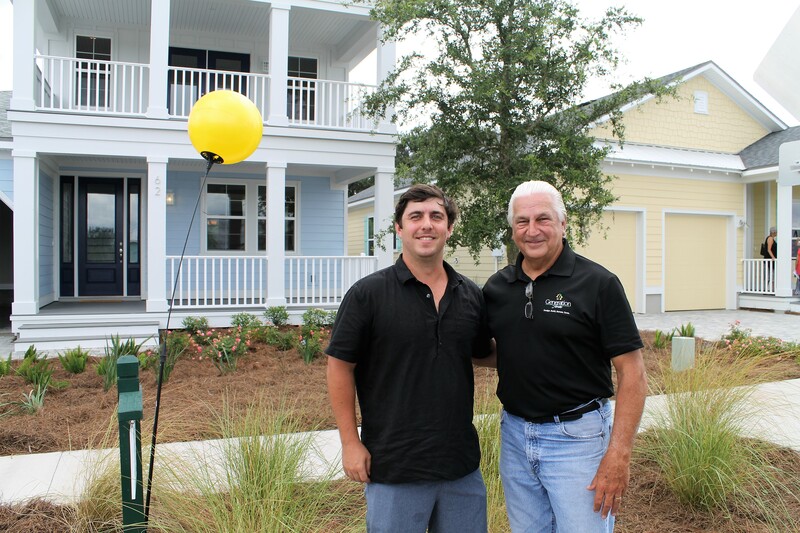 Matt McGarvey of McGarvey Residential Communities (left) and Stuart McDonald at Sea View. First, there are many regulations to navigate. Rules about elevating a home high enough to keep it from flooding. And other rules, about keeping a home below a certain height, so as not to block a neighbor’s ocean view. Also, the market is challenging. Land is scarce. But, today’s trend towards year-round living is demanding larger floor plans. Generation Homes partners with homeowners to innovate solutions. Innovation is not new to McDonald. It’s something he has done his whole career. In 2009 when McDonald joined Cora Johnston to open Generation Homes, they distinguished themselves with an ingenious design concept—an expandable home, that allowed the owner to easily add additions as their family grew. His expertise has helped Generation Homes earn a well-deserved reputation as a custom builder for finish, style and sustainability. Today Generation Homes focuses on custom coastal homes, and McDonald leads the building team behind such St. Augustine Beach communities as Sea Colony and Sea View. It’s given McDonald plenty of experience solving some knotty problems. Like small lots and older homes. Also, Florida’s unique topography. A small lot forces the builder to design a home within a smaller footprint. McDonald often solves that by going multi-story, bringing the extra square footage the homeowner desires. Another problem McDonald runs into is an older lot with plenty of space, but with a small vacation home the owner wants to expand. The solution is not always as simple as building an addition or a second story. Improvements which increase a home’s value by 50 percent trigger a requirement to bring every system up to code. McDonald lets the customer decide, giving a plan and budget for whatever remodel they want and comparing that cost to a tear-down and re-build. It’s an approach that makes Generation Homes more than just a master builder. They are design partners. Every home remodel gets, not just an estimate, but a line-by-line breakdown of costs. It’s a matter of transparency, Mc Donald said. “The buying public today is more knowledgeable than they have ever been. So, we let them review their costs upfront,” he said. If a homeowner finds a different provider for a service, Generation Homes removes that line item from the home’s final cost and lets the homeowner bring in the other provider. That kind of partnership has won hearts. McDonalds has seen Generation Homes’ entire building team invited to house warming parties at the end of a project. To learn more, contact Generation Homes (904) 955-4769 or generationhomesusa.com.